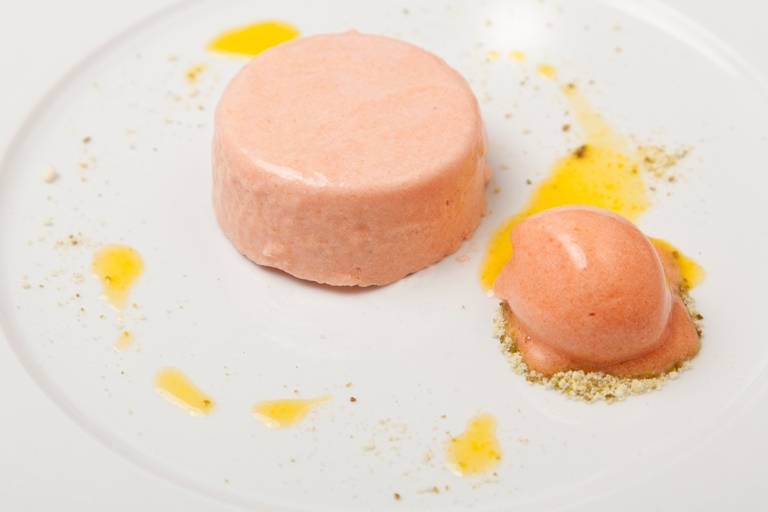 Galton Blackiston is known for his brilliant desserts and this blood orange recipe is certainly an eye catcher. You need to catch blood orange season in February and March for this dish. The deep red juice gives the mousse and sorbet a lovely colour.